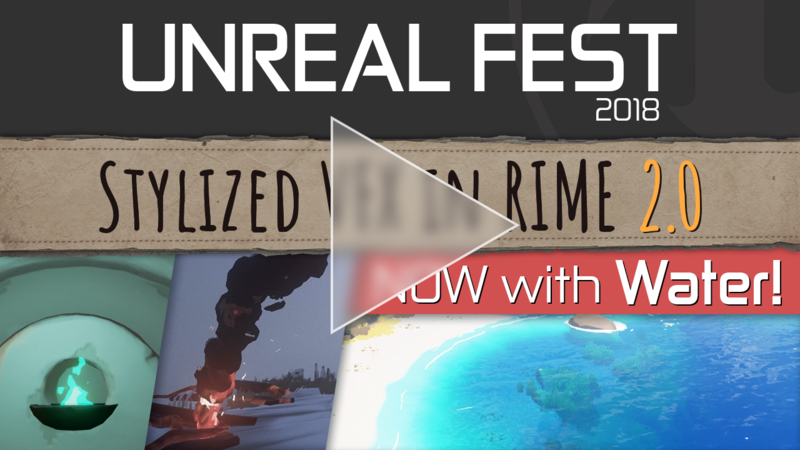 This is a talk I gave on the Unreal Fest Europe 2018 about three stylized effects in RIME. It’s based on the one I gave 2017 but extended about the water materials of RiME. Thanks to Tequila Works for letting me speak about the effects and all the nice people I had the opportunity to speak to at the event. It was awesome! You can find many creations of the RiME-Fire and -Water below the “old” RiME VFX article from 2017! Ninjin42 just mentioned, that the Custom UVs workflow is NOT necessary anymore to move the processing from the Pixel Shader to the Vertex Shader. 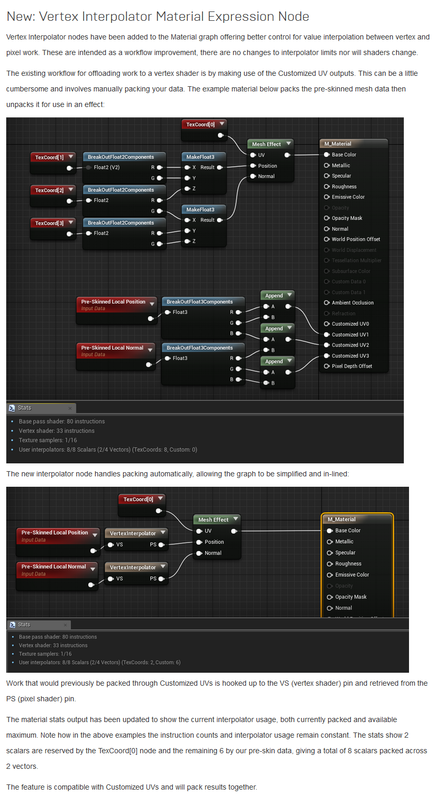 Since 4.16 there is a new node called “Vertex Interpolator”. You can find more information in the Patch Log by searching for “Vertex Interpolator”. I just added a little analysis of these dust-particles since they look similar what we achieved in RiME. You can find the update with more explanations here. This entry was posted in Game Art Tricks on 1. May 2018 by Simon.